B. Thomas (Arlington, Texas, United States) on 30 November 2018 in Landscape & Rural. I took a cold morning walk from a friend's condo near Ruidoso, New Mexico. 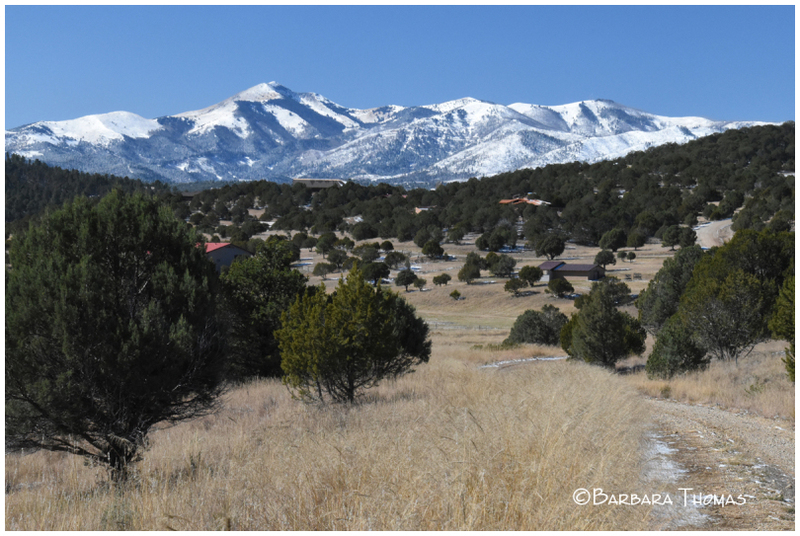 There were good views of the slopes of Sierra Blanca and Ski Apache resort in the background. C'est un magnifique paysage ! Well worth being in the cold looking at this scene. Lovely locale for a walk. Inspiring. The cold walk does provide a nice photo. A beautiful walk with blue skies and snowy mountains. A super walk indeed.